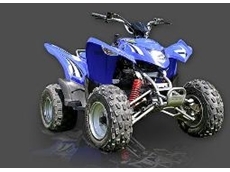 Yamaha provides Motorcycles, ATVs, Outboard motors, waverunners, Golf Cars and Power products. Based in Clifton, Queensland, QB Industries provide The Quadbar, a hairpin shaped hoop mounted on quad bikes to avoid rollovers. The Quadbar is made from an aluminium tube and it has been tested by the University of Southern Queensland. Suzuki provides a large range of road and off road motorcycles, scooters and ATVs. 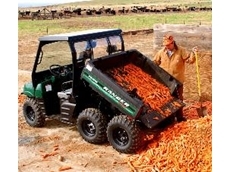 Arack supplies quality ATV products and motorcycle accessories, racks and loading ramps. 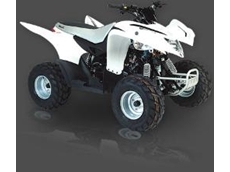 14/08/09 - Finding a safer alternative to the all-terrain vehicles (ATVs) has been a major motivator behind the introduction of the Taska Utility terrain vehicle (UTV) to Australia, says Steve Allen, managing director of Taska Australia. 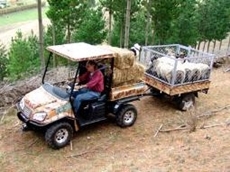 06/08/09 - Steve Allen of Taska Australia imported the UTVs for distribution throughout Australia. These machines were designed by Hamish Gilbert of International Machinery Ltd, Hastings, NZ. 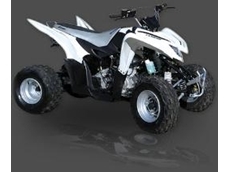 30/07/09 - Cobra Hi - Perf ATV has been styled just like it big brother the Cobra 220 ATV and Cobra 350 ATV and is an ideal size for the youngster looking for something special. 17/03/09 - Arack is a family business with 30 years experience in the welding and vehicle engineering industry. 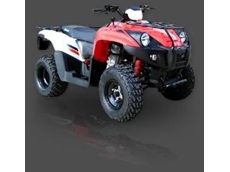 The family use an ATV on their own property and recognise requirements that are needed for the land and users.